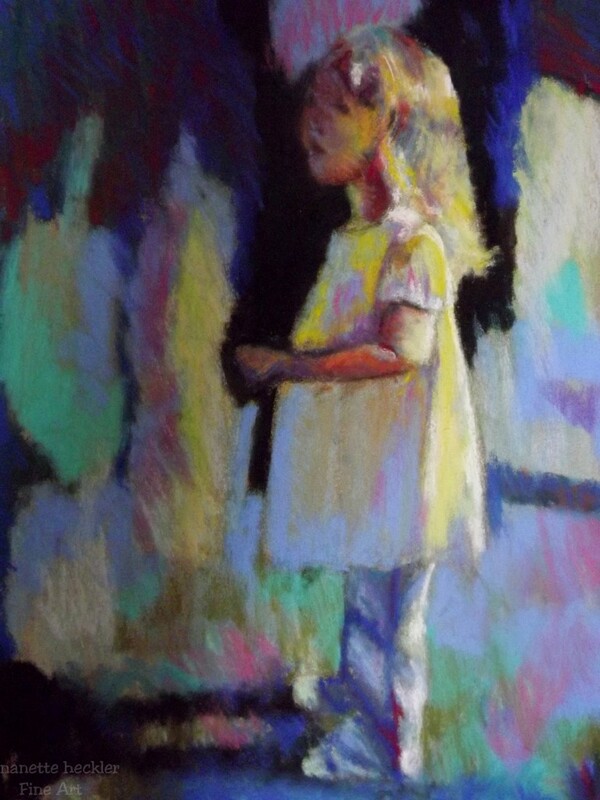 This painting was a struggle to keep softness and contrast at the same time. I was attracted to this little girl from the light softly falling on her hair and her longer dress with jeans and tennis shoes. I really could not do a formal children’s portrait, particularly since being stiff is not natural for any child. Give me a child playing, exploring, barefooted, in nature, playing in the sand….just being himself, and I will have a passion to paint that subject.